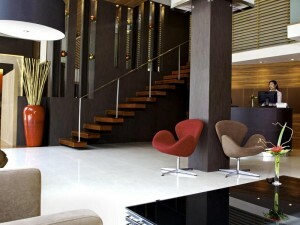 Sacha’s Hotel Uno is a modern three and a half star hotel on Sukhumvit Soi 19. The hotel is a short walk from Asoke BTS station and Terminal 21 shopping mall, as well as many of Bangkok’s best restaurants and the cheap food court in Terminal 21. 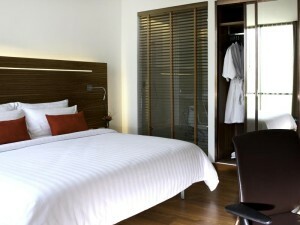 Rooms are modern and decorated very nicely, with soft beds and work desks. Free Wi-Fi is provided in all rooms and throughout the hotel. A convenient location, clean and modern rooms, and fair pricing make Sacha’s Hotel Uno a good mid-priced option near Soi Cowboy. Sukhumvit Soi 19 is a crowded area and it can be difficult to access the hotel during the evening by taxi due to traffic. Luckily, the hotel is a short walk from the BTS station at Asoke.